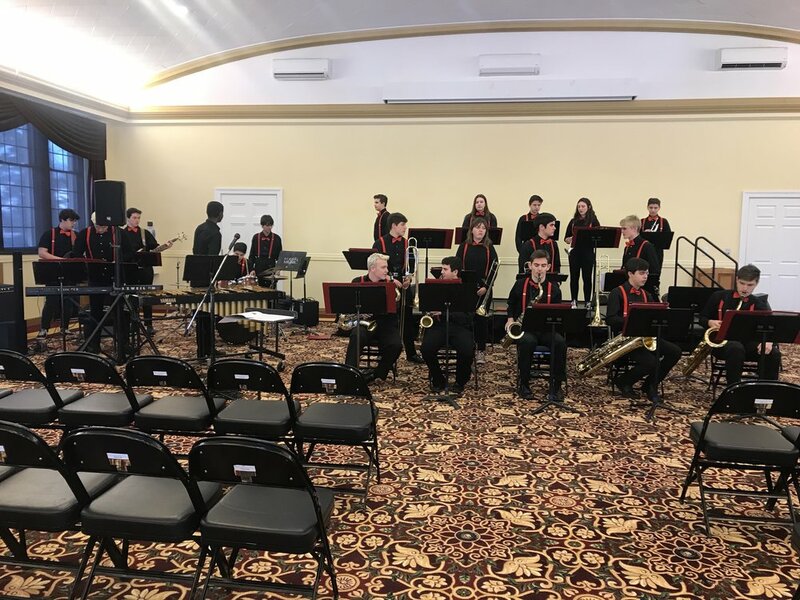 The Berkley Jazz Ensemble performed at State Jazz Festival on Wednesday, March 27th, and received straight ones, earning their way to an invitation to perform at the Detroit Jazz Fest! The Concert Band, Wind Symphony, and Symphonic Band all performed on Saturday at Band Festival. 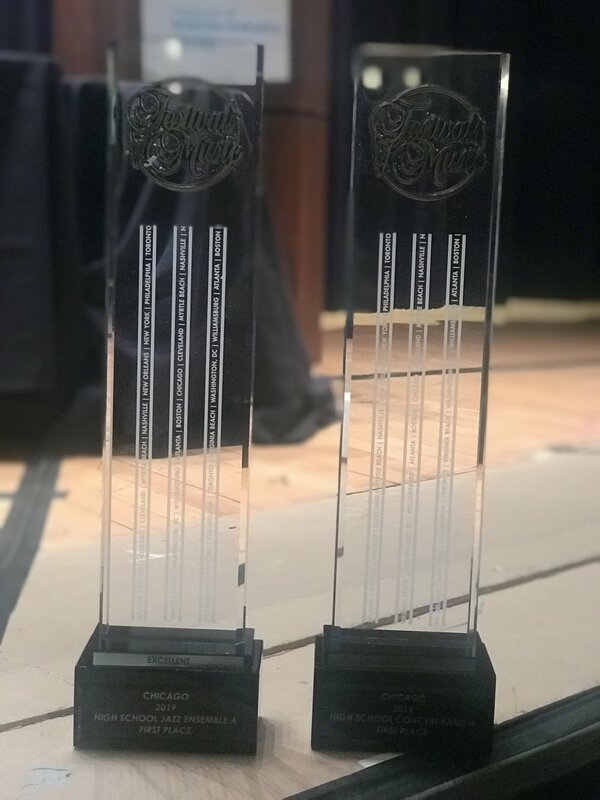 The Concert Band and Wind Symphony both received a division II rating (meaning Excellent), and the Symphonic Band received a division I rating (meaning Superior). The Berkley Jazz Ensemble performed at Central Michigan’s Jazz Weekend on February 1st. The Saxophones took 3rd place for best section, the Rhythm Section took 1st place for best section, and the Jazz Ensemble took first place for Best Ensemble!! Several of the members of the Berkley Bands sat down at Biggby coffee to read “Harry Potter and the Sorcerer’s Stone” from cover to cover to raise money for the program. 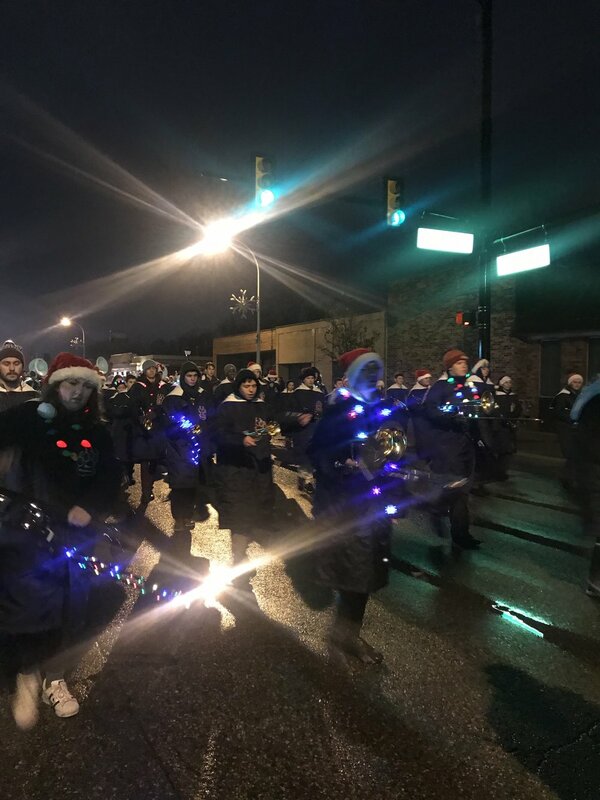 The Berkley Marching Band lit up the streets for Berkley’s Holiday Lights Parade! 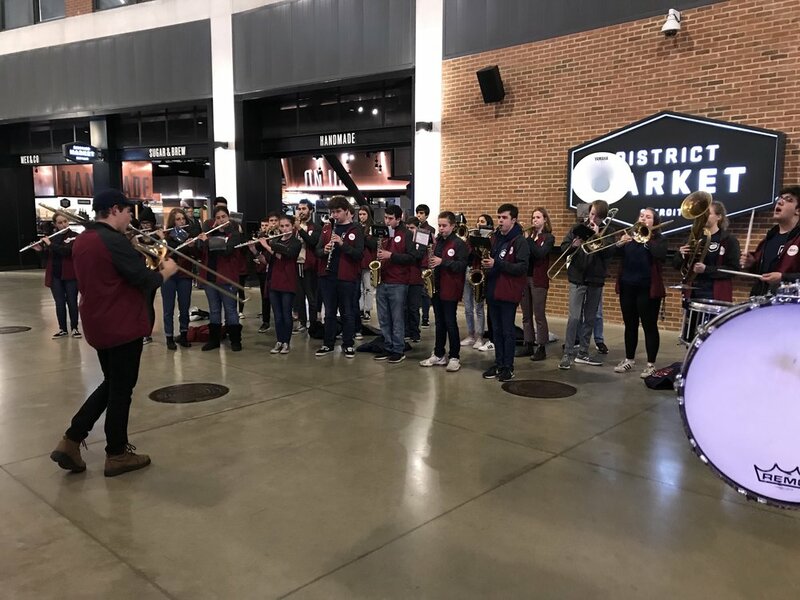 Members of the Berkley Marching Band got to perform before a Detroit Pistons game, and then got plenty of big-screen time during the game.